AUS Property Corp co-founder Steve Galanos says that foreigners investing from abroad should focus more on buying landed residential units. He says foreign property buyers should note that many Australians do not buy apartments. AUS Property Corp is a medium-sized boutique property developer that specialises in landed property in Melbourne. Galanos says the company has delivered 500 houses in nine developments with a combined gross development value of more than AUD$200mil (RM639mil) over the last three years. He says the majority of apartment units in Melbourne are sold to foreigners. 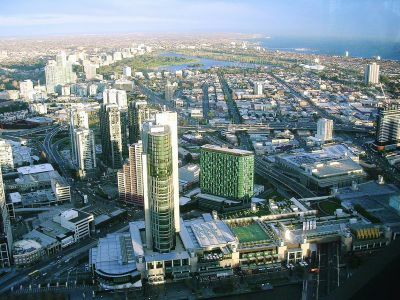 In his opinion, buying landed residential units in Australia is a secure investment due to the annual supply and demand situation concerning new properties. Australia has a population of about 22 million. However, Henry Butcher Marketing's international projects director Jazmine Goh offers a different opinion. She says that high-rise residential units in and around the city are still in demand. According to Goh, the rental returns are typically between 4% to 5% per annum as the market is established and enjoys very low vacancy rates. Goh points out that landed properties benefit from more long-term capital growth. She says landed property within a 10km radius of the city are more expensive, with the average price for a three-bedroom/two-bathroom house being more than AUD$550,000 (RM1.76mil), depending on how prime the location is and its built-up area. Jalin Realty International Pte Ltd chief executive officer Ian Chen says investors should look at demographics and location to determine the type of property (apartment or landed) to invest in. “We need to understand buyers' needs and requirements. If they prefer single tenants and do not mind paying a higher premium, then an apartment in the city may be the investment for them. Meanwhile, CB Richard Ellis (Malaysia) executive director Paul Khong says that demand for apartment units is likely to rise as Melbourne consolidates, and becomes more dense. According to him prime land in the city is being re-developed with high-rise projects. “Affordability pressures would mount on conventional housing forms. However, investors who sell within the short-term, without accumulating sufficient losses, will incur large capital gains tax which is currently 29% in Australia. 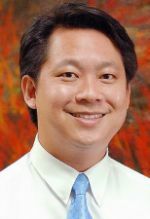 By investing long-term, an investor is able to accumulate tax losses to minimise the capital gains tax,” says Khong. He opines that landed properties are usually for owner-occupiers and are located away from the city. The development of Mersing Laguna will be carried out with strict guidelines to ensure the district's idyllic coastline and natural marine attractions is protected and preserved despite the massive dredging and reclamation work involving 809ha for the proposed project. Sinohydro Group Ltd's chairman Fan Jixiang, who gave this assurance said his company appreciates the natural ambiance and attraction of Mersing and will adhere to the strict local and international laws in regards to environmental conservation. "We respect Malaysia's laws and will do everything necessary for the care of the environment as Mersing Laguna is all about eco-paradise tourist destination," Fan said in an interview after witnessing the signing agreement of the RM4.2 billion contract between Synohydro Corp (M) Sdn Bhd and Radiant Starfish Marine Development Bhd in Johor Baru recently. Also present during the ceremony were Johor Menteri Besar Datuk Abdul Ghani Othman and Radiant Starfish Development Bhd's president and chief executive officer Ungku Safian Abdullah. 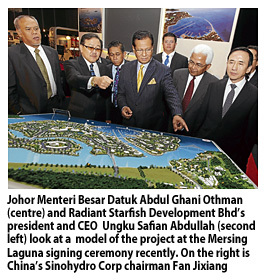 Fan said Sinohydro will ensure the reclamation work will be timely delivered and enable the full-scale development on the man-made islands to be carried out as planned, enabling Radiant Starfish to realise its dream in making Mersing Laguna an eco-paradise destination. He said Sinohydro, a state-owned conglomerate and is ranked among the world's top 15 international contractors by the engineering news record, decided to take part in this mammoth project due to the strong ties between the Malaysian and Chinese governments. Sinohydro is actively involved in major contracts and business interests in 70 countries involving architectural projects, electric power investment, property and real estate as well as design and manufacture of construction equipment. The company's current book order is estimated at RM86.72 billion (US$D27.1 billion), is also engaged in the manufacture and installation of mechanical and electrical plants, power generation, expressways, railways, harbours, airports, municipal public utilities and building industries. "We will consciously work towards environmental sustainability through our advanced technologies and execute the work strictly in accordance with strict regulations," Fan said adding that local talents and resources would be maximised throughout the duration of the project. He added the company's 10-year experience in Malaysia, in projects such as the building of the Bakun dam in Sarawak has encouraged it to participate in other large-scale projects such as Mersing Laguna. He thanked Radiant Starfish for its confidence in awarding the design and built contract to his company. Mersing Laguna, a RM22 billion high-end development is set to transform the once sleepy-town into an international class eco-tourism destination involving three man-made islands and a 36km stretch of beachfront between the Endau-Rompin and marine parks off the coast of Mersing. The project was among the nine announced by Prime Minister Datuk Seri Najib Razak to be implemented in the East Coast Economic Region that straddles Pahang, Terengganu, Kelantan and Mersing in Johor on February 28 in Putrajaya. It is also understood that several world-renowned architects have been penned to be involved which will see Malaysia, particularly Johor, establishing itself as an eco-tourism hub similar to that of the Gold Coast in Australia. JOHOR BARU: Japanese investors plan to develop Malaysia's first "Little Japan" township in Taman Molek here for high net worth ethnic Japanese keen to relocate and make Malaysia their second home. Global Asia Assets (M) Sdn Bhd (GAAM), an asset-building consulting company for Japanese investors, which is behind the project, hopes to woo 2,000 wealthy Japanese to live, work or do business here within the next few years. GAAM chief executive officer Fujimura Masanori said since March last year, some 70 Japanese individuals had already relocated here under the Malaysia My Second Home (MM2H) programme. Additionally, 365 Japanese investors have also acquired high-end residential and commercial properties worth more than RM400mil here since January last year and are expected to also move here permanently soon. "In view of the overwhelming response, we are eager to kick start the "Little Japan" project in Taman Molek where Japanese individuals are expected to invest over RM500mil in landed houses and luxury apartments over the next few years," said Fujimura. Fukimura was talking to reporters at the Starhill Golf & Country Club in conjunction with a charity golf tournament in aid of the victims of the Japanese earthquake and tsunami last year. About 50 golfers, including 20-GAAM customers from Japan had flown here to take part in the event. All proceeds from the event will be donated to the Japanese Red Cross Society for distribution to needy victims of the Japanese earthquake and tsunami on March 11 last year. According to Fujimura, "Little Japan", the first of its kind in Malaysia, would be a self-contained township complete with restaurants, spas, medical facilities and retirement homes for Japanese who want to live and work here. He noted that the Japanese, who have traditionally avoided investing outside of Japan, have enormous amounts of liquid assets lying dormant in Japanese banks. 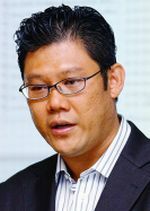 Fujimura said the response was very positive with Japanese clients buying up 50 per cent of the 248 high-end condominium units in Molek Pine Tower 3 - a project by the Kuok Group subsidiary, Tanjung Bintang Sdn Bhd, which is marketed under the Berinda brand name. "The developer, in view of the overwhelming response from Japanese buyers, will refit the units with special Japanese features such as Onsen-Spa facilities, Ofuro (Japanese bathtub) and Zen concept landscaping. "Our clients have already committed over RM400 million in the purchase of units in various residential schemes in Taman Molek and Taman Ponderosa, which is yet another project by Berinda," he said, adding that GAAM will also manage the property on behalf of its clients. "Johor Baru's proximity to Singapore, coupled with good infrastructure, fine weather, the Government's commitment to boost safety and security and the virtual absence of natural disasters like earthquakes, makes it an ideal place for Japanese to make it their second home," he said. These residents, he added, would eventually also open Japanese convenience shops, fine restaurants, dental and medical clinics in partnership with locals, traditional medicine shops and even retirement homes catering not only to Japanese clients, but also Singaporeans and locals. "They will help create jobs, provide skills training, help promote business and contribute to the local economy and the growth of Johor and Malaysia as a whole," he stressed. Fujimura is confident the "Little Japan" project will take off in a big way because of rapid development in Johor under Iskandar Malaysia, with international schools and universities and top-notch health and medical facilities all opening here soon. If you are looking to buy a new house or apartment, there has never been a better time than now to seriously consider it. With home builders becoming more competitive in their quest to win new buyers and investors, and with higher demands from purchasers, there is now a wide range of extras to entice the potential buyer. This is especially so in the higher end of the market, where purchasers are generally more discerning and more demanding. They are prepared to pay top dollar for a new home, and they expect to get the best product. As a result, built-ins such as kitchen cabinets and wardrobes are becoming standard fare in newly built homes. In many areas, so are some basic appliances such as refrigerators, ceiling fans and air-conditioners. In the higher end of the market, the design and concept are also important. Homes are sold on emotion as much as style and utility. The home must not just be a place one wants to come home to it must also be able to impress the guests. While these extras go a long way in helping a potential buyer make his choice, equally important is how he is going to pay for it. Developers, working together with financial institutions, now offer various benefits in the financing packages that not only make it easier for the buyer to make his initial payments, but also save him some money in the longer term. How do these new schemes work? When a developer has a new project to launch, the many domestic banks as well as foreign banks that have operations in Malaysia are invited to offer financing packages to potential buyers. Given that banks have to work within very strict guidelines set by our monetary authorities, the packages they offer are mainly confined to attractive interest rates for loans. In today's market, most banks offer home loans at interest rates of BLR (base lending rate) minus 2.45% to 2.5%. With the BLR at 6.6% today, buyers pay a 4.1% to 4.15% interest on their loans. This offer comes with a caveat a lock-in period of three to five years, during which a penalty will be charged if the borrower decides to refinance his purchase with another bank. The penalty is usually about 3% of the loan amount. Apart from absorbing the legal fees and stamp duty on the loan agreement, there is not very much more that banks are allowed to offer. Banks used to absorb the penalty imposed on borrowers who move their loans from other banks, as well as the fees for discharge and new loan agreement but even these are also not permitted now. Where the banker's hands are tied, the developer has now come in with offers that help to ease the financial burden on buyers further. The absorption of legal fees on the sale and purchase agreement as well as the stamp duty and other miscellaneous charges are now standard fare offered by developers. Some developers have taken it a step further by offering an interest-absorption scheme to those who buy into a newly launched property. This works in the sell-then-build concept, which is the practice in Malaysia. When someone buys a new property, he usually is able to get a loan of up to 90% of the purchase price. For instance, if the property costs RM1mil, he will have to pay a 10% down-payment, or RM100,000, upon signing the sale and purchase agreement. The remaining RM900,000 is disbursed by the bank to the developer at various stages of the construction from the completion of the foundation, the structure, walls and so on in lump sums of 10% or more. Interest is only charged by the bank on the amount that has been disbursed, and while the project is still under construction, the developer pays the interest to the bank. For landed property, the construction period usually takes 24 months while high-rise projects take up to 36 months. The buyer only starts paying when the project is completed and vacant possession of the property is handed over to him by the developer. The total sum in interest borne by the developer can thus be quite substantial. But for those who are unable to make that first 10% down-payment, there is yet another solution. Developers now accept credit cards for the down-payment, so long as the credit limit is sufficient to cover the amount. The buyer then repays the amount in instalments over one or two years under an “interest-free instalment plan”, much like what is on offer now for purchases at various consumer goods outlets. The interest incurred on the sum borrowed on credit card is absorbed by the developer. Offers such as the interest absorption scheme and the credit card plan are geared towards helping the potential buyer take the big step towards owning a property. As competition toughens, developers are bound to come up with even more offers and extras to attract buyers. However, these offers eat into profits. Rising costs of land and materials also put pressure on margins. Like any enterprise, there is a limit to how much extras or discounts the developer can offer. It cannot reach a point where it is no longer economically viable to proceed with a project. Meanwhile, it is still a shopping haven for property buyers. So why wait? MKH Berhad, formerly known as Metro Kajang Holdings Berhad, has launched a property carnival at MetroPoint Complex Mall in Kajang which is open until Sept 30. The MKH Berhad Property Carnival 2012 showcases projects from the developer for buyers to select their dream houses or for investment. There are eight projects — apartments, condominiums, terrace houses, semi-detached houses, bungalows and shoplots — available. The built-up areas range between 850sq ft and 5,000sq ft with price starting from RM220,000. Customers who bought property during the carnival period only need to pay 5% for downpayment and a rebate up to 5% will be given. Buyers need not pay the legal fee for sale and purchase agreement and memorandum-of-transfer stamp duty. They will also get an MKH buyer programme worth up to RM3,000 and can sign up for loyalty programmes for more benefits. Visitors to the fair can also take part in many interesting games and there are attractive prizes worth RM50, 000 up for grabs. MKH Berhad group managing director Datuk Eddy Chen Lok Loi said the company thanked the public and business partners for all the support it received over the past 35 years. “We will always improve ourselves and hope we can meet the demands by our customers. “We are expanding and have developed housing areas outside Kajang such as Puncak Alam, Melawati and Bangsar,” he said. Chen said the abolishment of toll charge for two toll plazas at the Cheras-Kajang Highway and the MyRapid Transit Sungai Buloh-Kajang line should be seen as a plus point by homebuyers. “With property prices ever increasing, they should buy now especially in the affordable range,” he said. Not just a market: The TTDI market in Jalan Wan Kadir. While deliberating on the redevelopment plan for the market, let’s not forget that a traditional wet market still has a role to play in our communities. The art of placemaking will determine whether a place or project resonates with its target audience, and contributes to higher value and quality of the overall living environment. According to Wikipedia, placemaking capitalises on a local community's assets, inspiration, and potential, ultimately creating good public spaces that promote people's health, happiness, and well being. “Placemaking is both a process and a philosophy,” it points out. In this profit-driven and consumerist age, placemaking may have been commercialised to bolster the cash register and companies' bottomline, but in its original simplistic form, it actually encapsulates both the tangible and intangible elements that give meaning to a place. Things like the sights and sounds of a place, general ambience, colours, smell, building forms and architecture, and even the energy and aura of a place all come to mind. In a nutshell, they constitute things that are held dear by the community and make life meaningful to the people. I'm sure most of us have come across places that we took a liking to the very first time we set eyes or foot on them; and there are those that did just the opposite to our senses. Besides the building structures and facilities, I believe it must have something to do with a place's aura and energy that determine whether it continues to be relevant to the community. With that in mind it is important to ensure that, in the pursuit of development, the “heart and soul” and elements that give meaning to our housing estates, townships and cities are cherished and safeguarded. Some of these places include historical buildings, cultural and arts centres, and not to forget, our alma mater the schools and universities. Places like open fields, parks and markets are also where communities come together and they need to be perpetuated for our local communities to thrive. These are places where we can see Malaysians of all races converge and engage with one another in true blue Malaysian spirit and appreciate each other. Without these public spaces, the decadence in the communal spirit, which is already setting in, is bound to worsen. Although fields, parks and markets do not generate income to the local councils, they are important community-building assets and public spaces, and should not be roped in for development purposes. News reports that some quarters are eyeing the site of the 25-year-old Taman Tun Dr Ismail (TTDI) wet market complex for redevelopment into a mixed-used development have understandably upset many people, especially the local community who get their daily fresh produce from there, and the traders who depend on the market for a living. The interested parties are said to have submitted their plan to the Kuala Lumpur City Hall (DBKL), which owns the market complex, and the plan is said to be under consideration. While deliberating on whether to allow the redevelopment plan to go ahead, and what kind of concept it should be, let's not forget that a traditional wet market still has a role to play in our communities. Besides being the place for folks from TTDI and the surrounding housing estates to buy fresh produce of fish, poultry, meat, vegetables and fruits, it is also a much appreciated community meeting place. Although the hypermarkets and supermarkets with their frozen food section is an alternative source, home makers and those who opt to do their marketing daily at the wet market should have that option availed to them. As for the traders that number more than 200, many of them were moved from the former Kuala Lumpur Central Market in Jalan Hang Kasturi some 25 years ago when the old market was closed for a major renovation. A good number of them are second generation traders, having taken over the business from their elderly parents or siblings. Today the refurbished Central Market is a cultural, arts and craft centre. 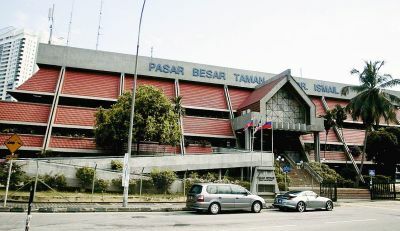 Having dutifully moved from their old trading place in Kuala Lumpur to TTDI, the traders' wishes are to ensure any redevelopment plan of the market complex will preserve the concept of a traditional wet market, instead of taking after a modern hypermarket concept that will inadvertently take away the rice bowl of these traders. If the decision is to proceed with the redevelopment plan, the authorities should look into a spanking new market with better equipped facilities, such as multi-storey car parks and a more hygienic and clean environment. Longer operating hours will be a definite improvement to cater to office workers who can only do their marketing in the evenings. Whatever the plan may be, there should be more transparency and engagement with the local community, traders and other stakeholders, to ensure a holistic and equitable solution for all. Deputy news editor Angie Ng reminisces about the good old days when the community spirit was strong and unchaperoned children walked around freely unharmed. Petaling Jaya: OSK Property Holdings Bhd has proposed a renounceable one-for-10 rights issue of up to 23.74 million new shares in OSK Property together with up to 71.21 million free detachable warrants on the basis of three warrants for each rights share subscribed to, on an entitlement date to be determined later. It also proposes a bonus issue of up to 47.48 million OSK Property shares on the basis of two new OSK Property shares for every one rights share subscribed by the existing shareholders pursuant to the proposed rights issue with warrants. There is a proposed restricted issue of up to 50 million new warrants to the holders of unexercised 2007/ 2012 Warrant B on the basis of one new warrant for every one existing Warrant B held on an entitlement date to be determined later. Based on the indicative price of RM1 per rights share, the proposed rights issue with warrants is expected to raise gross proceeds of at least RM18.74mil and up to RM23.74mil.